Sadly, here at The Parent Spot we’re horrible gift wrappers. The last time we wrapped a present, someone told me that it was “so cute!” that our four year old had done the wrapping. Uhhh… right. 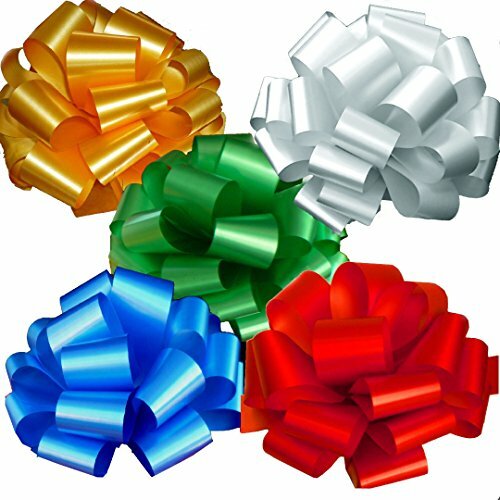 Admit it – if you’re anything like us you aren’t good at wrapping and you probably consider paying someone to do the job for you. Or, you just toss everything in gift bags and boxes and wash your hands of it. We’ve brought in Angel, to help us with a few simple tips to get those perfectly wrapped Christmas gifts everyone else always shows off. 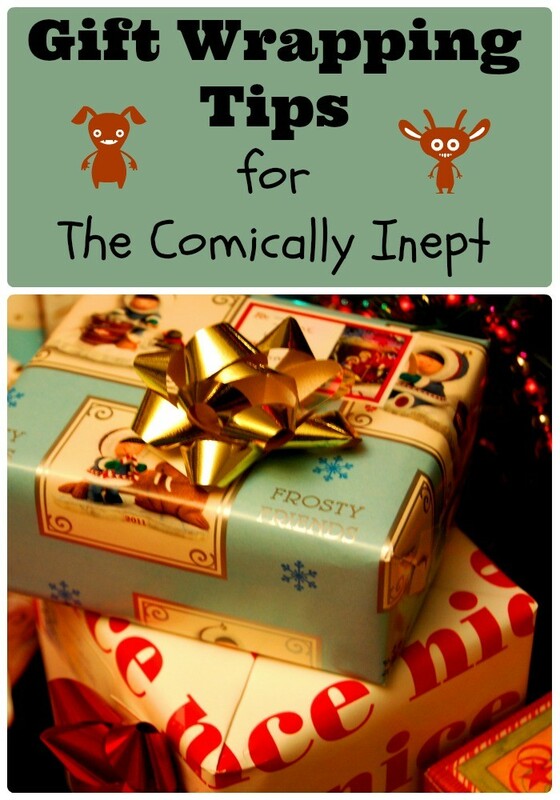 Here are Angel’s five quick gift wrapping tips for the comically inept (umm… like us). This may seem like a no-brainer, but it’s true. You need to organize your supplies before you start wrapping anything. If you get in the middle of wrapping a gift only to realize you’ve forgotton tape – uh-oh! And the present will look like a disaster. Make sure you have all of your supplies nearby and that you have enough to accomplish each wrapping task. 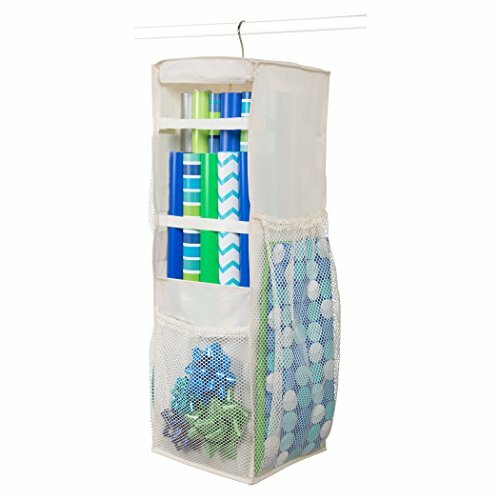 We love this HomeCrate Hanging Gift Wrapping Paper And Bow Organizer. It’s got six compartments, and it’s easy to store by hanging in a closet. The trouble most people run into when wrapping presents is that they use too much paper, but how can you get that perfect amount? With a few tools, of course – in particular, a clear quilting ruler. Before trimming your paper, wrap it around the box you intend to use the paper on. The ends should overlap just enough for you to tape them securely. If youre wrapping something soft, but don’t want to place t in a box or bag (yes, you can do that!) cut a piece of cardboard the size of the present and place the soft item on top. To make sure you stay inline and cut the right amount, use the clear quilting ruler on the paper to mark the lines. 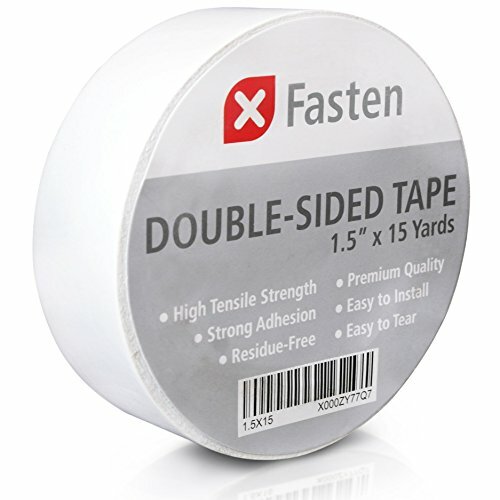 Double-sided tape will stick better and hide easier than regular tape. It is a great option when gift wrapping and helps those corner pieces stick better than other tape. Try it this year for a different result to your usual wrapping woes. Getting sick and tired of that gorgeous paper ripping and tearing, crinkling and wrinkling before you can wrap it properly? 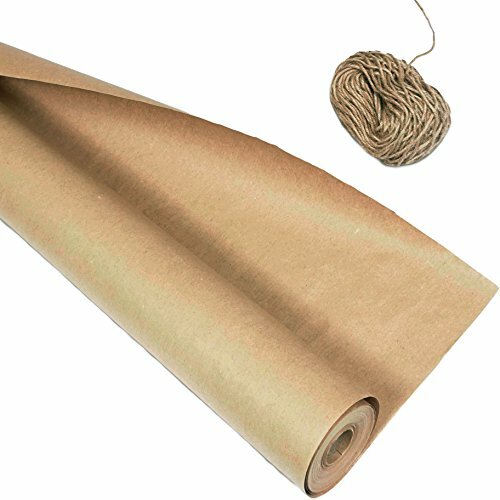 Try something heavier, like Kraft paper or even old brown paper bags. They are easier to cut in a straight line and hold up better to taping (and re-taping – it’s ok, we won’t tell). While it may be plain, it is sturdy and you can decorate it anyway you please. Try using that this year instead of regular paper and wow people with not only your new-found wrapping skills, but also your creative decorating style. An additional bonus is that brown wrapping paper crinkles and bunches in an appealing way that regular wrapping paper does not, so it actually doesn’t look awful if you mess up a bit. 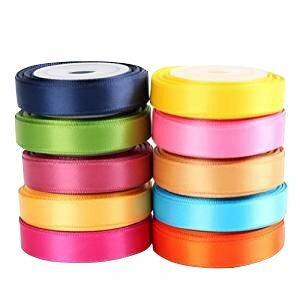 Ribbons and bows and tags and more – it gets overwhelming and expensive. To make the most out of your budget and all those scraps, make your embellishments this year. This is easy to do and will add to your brown-paper wrapping (if you choose this). An added bonus? If you have tears or unsightly corners, lots of embellishments can hide them for you in style! Thanks for the advice. I am comically inept at times!!! Really like the wrapping paper organizer.